Maps inform us where things are situated. The borders depicted in each map propose a different view on the social conditions, attitudes, and interactions with others in the world. The AntiAtlas of borders project shows us different approaches for understanding “the mutations of control systems along land, sea, air and virtual states” and their borders. It has done this through the combined contributions of social and ‘hard’ science researchers and artists, all engaged in creative practices including Internet art, tactical geography, filmmakers, performers and hackers. The project also includes other relevant actors such as people working as professionals for customs agencies, surveillance industries and the military. This is the first of two interviews with Isabelle Arvers who has collaborated with the IMERA team (the Mediterranean Institute for Advanced Research of Aix-Marseille University), to curate this expansive and dynamic project. The first interview discusses the operational side of the project and the next interview examines selected writings, artworks, projects and ideas featured as part of the project. Marc Garrett: Before we begin the interview it would great if you could tell us when and where the exhibitions, events, publications and other parts of the project begin? Isabelle Arvers: The AntiAtlas programme will run from 30 September 2013 to 1 March 2014 and will be composed of five initiatives: an inaugural international symposium, two exhibitions, a website and the publication of a book. The International Conference will be held from 30 September – 2 October 2013 at the New Conservatory of Aix en Provence. The main aim of this conference is to present the results of the interdisciplinary workshops that took place in the last two years at IMéRA et at the Higher School of Art of Aix-en-Provence. The AntiAtlas of borders will present two interlinked exhibitions. The first will take place in Aix-en-Provence at the Musée des Tapisseries from 1 October to 3 November 2013. 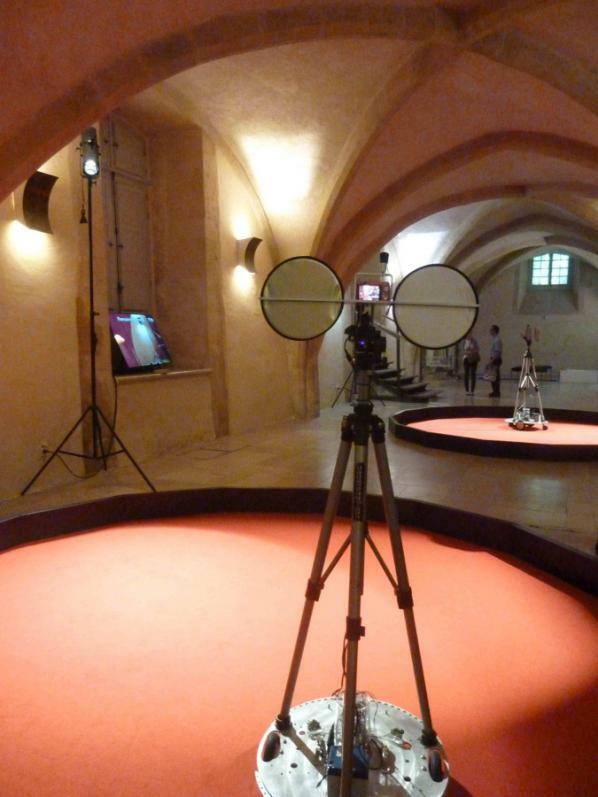 The second will take place in Marseille at La Compagnie creative arts centre from 13 December 2013 to 1 March 2014. The two exhibitions will present works developed in collaboration with social scientists, researchers in the hard sciences and artists. They will offer several levels of reading and forms of participation. Visitors will discover new works, engage with transmedia documentation and participate in experiments. They will interact directly with robots, drones, video games, walls and systems. The aim is to encourage everyone to reflect on how we are directly and personally affected by the transformations of borders in the 21st century. The final version of the website www.antiatlas.net/eng is an online extension of the exhibitions. Most importantly, the website provides access to works of net.art and artistic interventions in the form of an online gallery of works. This website and its documentation will extend the progress and reach achieved by the project. It will act as an archive and documentation site for the general public, artists, researchers and institutions. 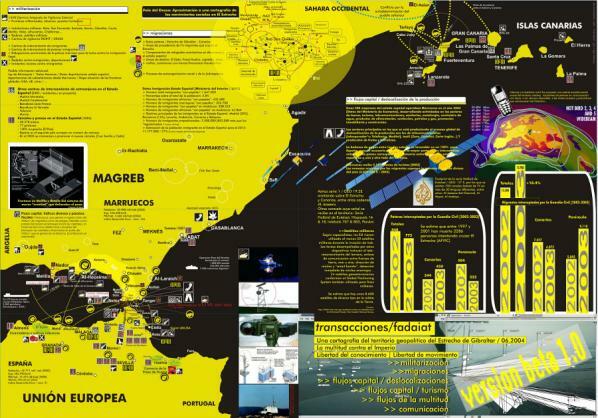 In 2014, an AntiAtlas of border publication will be produced, gathering publications of researchers and artists on different and selected themes of the international conference and the two exhibitions. Paparazzi Bots by Kenneth Rinaldo. Exhibition view. MG: What has been your involvement with AntiAtlas? 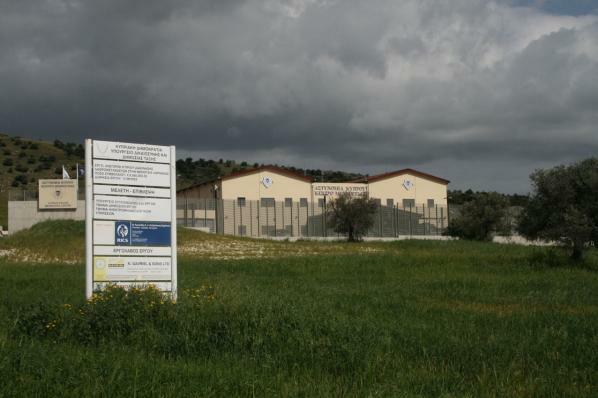 IA: When I met the IMERA team (the Mediterranean Institute for Advanced Research of Aix-Marseille University), they were looking for a curator in order to disseminate the outcomes of the past three years of seminars they conducted on borders. I saw this project as a great opportunity as there was a political dimension within it that attracted me. Also, I am deeply interested in tactical media and tactical geography and by new forms of visualisation and new aesthetics related to systems of control like drones, robots, satellites or surveillance cameras. I wanted to create a participatory event that would allow people to follow our work online and offline. I also wanted to mix different kinds of works from research in the hard and social sciences to artistic installations, websites, games and videos. To do so, we decided to create a website www.antiatlas.net that would gather artworks, research articles and interviews, an online gallery and also all the presentations given during the different seminars conducted by IMERA on borders during the last three years. Thanks to the website, we were able to launch a call for proposals as I wanted to get the testimonies and the voice of migrants about their vision on borders. Cartographies by Hackitektura. Exhibition view. Very quickly we understood that we needed to get more funding and partners, so I offered to seek media, private and institutional partnerships as well as to manage the communication of the entire event. This fundraising was needed to promote a global vision of the antiAtlas of borders and to link all the parts of the event: from the website, to the call for proposal, till the international seminar and the two exhibitions. Because of my multiple engagements in the project, I became one of the 5 co-producers of the programme. MG: This is a complex project. It is noticeable that there is a diverse and dynamic, cross section of different practices being bridged to make it all happen. Has it been difficult to combine all of these practices so they can relate to each other coherently? IS: Combining all these different practices was a wonderful and exciting adventure. During one year and a half, we worked very closely with the scientific and artistic committee and tried to exchange as much as possible between different visions and ways of working. I learned a lot from researchers and was amazed by the deep understanding and knowledge they have on the subject of borders. Thanks to their research and to their approaches to this issue, I was able to get a very diverse understanding of this complex subject. From me, they discovered the online communication and the power of the web and social networks to diffuse and share the information. They also got a better understanding of the tactical media field and we learned so much from each other that this experience is already a beautiful success in sharing and learning from passionate human beings. I come from media art world and I tried to respond to a scenario that the committee conceived with artists’ works, which is a very different way for me to work. 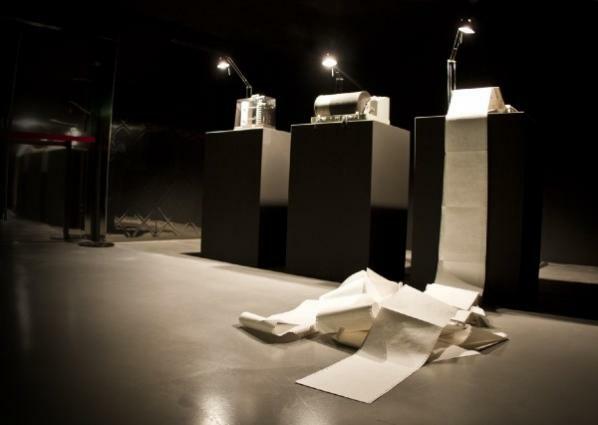 This time I had a script to follow; the way I did it was to try to find some ludic interactive installations, as well as documentary projects or games, in order to allow the experimentation of the subject by the audience. They trusted me even if it wasn’t a field they knew well. MG: Do you feel that it has de-compartmentalised these varied fields of knowledge successfully? IS: What was particularly positive in the last seminars on borders we organised was that they allowed plenty of time to discuss and facilitate the exchange between the different perspectives. A specific example is a game project resulting from the collaboration between an anthropologist – Cédric Parizot – and a interactive laboratory from the Superior art School of Aix-en-Provence, which is led by the artist and game designer Douglas Edric Stanley. The idea is to create a “crossing industry game” drawing on the data collected by Cédric Parizot on trafficking. The collaboration addressed the visualisation, contextualisation and re-appropriation of a field of knowledge through game mechanics. I think that this experience really enriched all the team. The anthropologist was able to analyse his data in a different way, while the interactive students got closer to the reality of trafficking as they were experiencing through a game. There are many other cross-disciplinary projects made in the framework of the AntiAtlas. I would say that what we want is to multiply different experiences and forms of knowledge on borders across and between the separate but intersecting fields of art and science. The exhibition is conceived to mix everything: research through the documentation space, researchers’ interviews, counter cartographies, interactive installations on biometrics and surveillance technologies, applications to divert control systems and documentaries providing a wider point of view on multiple dimensions of borders and their representations. Artists and researchers meet three times per year, some of them collaborate on trans-disciplinary projects, so that the conditions to meet and de-compartmentalise these fields are created. This is only the beginning. The process still needs to be pushed and facilitated as the antiAtlas is an attempt to create a new kind of cross-disciplinary encounter, let’s see how it will evolve! This first interview with Arvers attended to organisational and operational aspects of the inter-disciplinary border-crossing within AntiAtlas project. The complex task of collating, sharing and collaborating to make it all happen at all could use its own map. The processes and engagements that evolved as the project took shape involved a collaboration of many different fields and practices, individuals, groups, organisations and cross cultural relations. This transdisciplinary approach helps us to unpack the deep levels of the meanings and value of crossing borders, in an organisational sense. Their dedication to transcend the seemingly ‘scripted’ blockages and restraints echoes a strong feeling that we need to re-assess the maps given to us, and what this means. “What is needed to escape the modern mental “territorial trap” are ways of seeing and drawing that reveal what the geographical abstraction of the borderline obscures. It is only in this way, then, that we will acquire the necessary tools to think through a technologically enabled world of border flows and portals” Popescu. &  Gabriel Popescu. 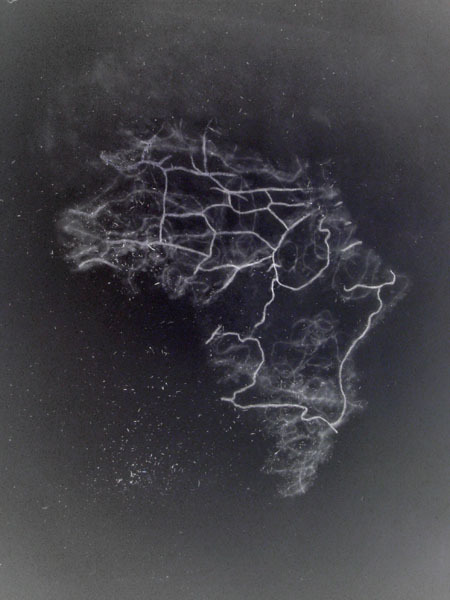 Re-visualizing Border Cartographies through Art: From lines to flows and portals. Marc Garrett is co-director and co-founder with artist Ruth Catlow of Furtherfield. Also co-founder and co-curator/director of the gallery space formerly known as ‘HTTP Gallery’ now called the Furtherfield Gallery in Finsbury Park and the Furtherfield Commons lab, in London, UK. Co-curating various contemporary Media Arts exhibitions, projects nationally and internationally. Writing the last year of his PhD at Birkbeck University, London, and recently co-editor of Artists RE:Thinking the BLockchain.